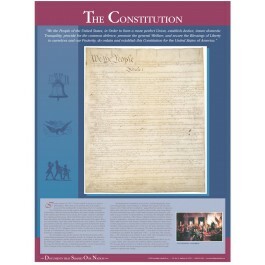 This striking poster features a large image of the front of the historic Constitution, a quote from the Preamble, and a concise explanation of the history behind the document and its significance. 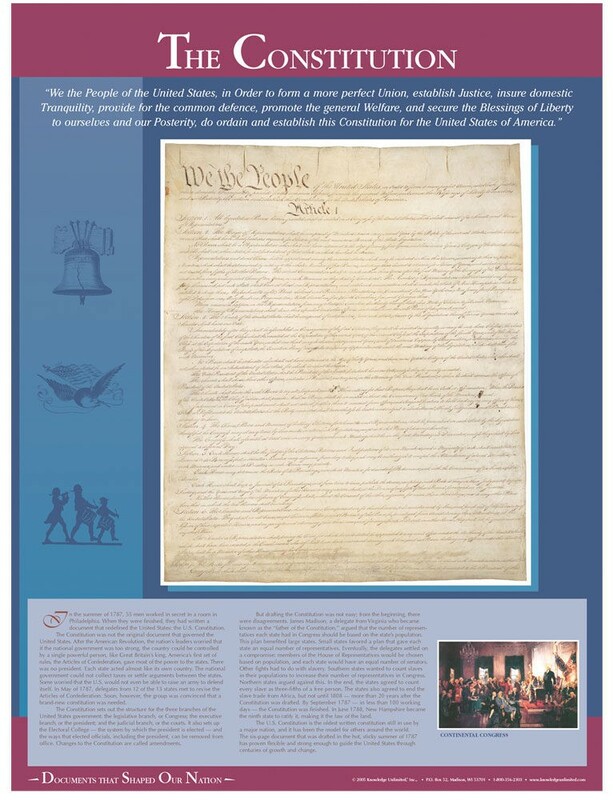 In the summer of 1787, 55 men worked in a stuffy room to create the U.S. Constitution. By September, in less than 100 working days, they had created a document that has been flexible and strong enough to guide the U.S.. through centuries of growth and change.